It all began with a laugh. In 1968, as chemistry major Joe Holly headed to class, it was the sound of Kate Taylor’s laugh that caused him to fall for her, even before he glimpsed her face. And once he found her, he knew he would do anything to get her, and later, everything to keep her. 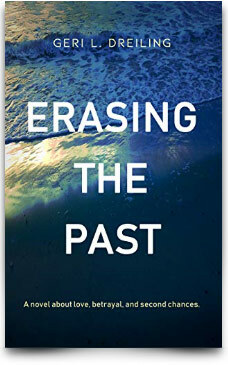 Based on an award-winning short story, this reimagined third edition of Erasing the Past travels back and forth in time between the first days of their courtship to their lives together thirty years later. When Kate announces that she wants cosmetic surgery, Joe’s world unravels. As the chief chemist for a cosmetics company, Joe attempts to create an age-defying cream with a synthetic blend fruit from a tree found in Africa. His concept could transform a science fiction dream into reality: Erase time from Kate’s face. But this fountain of youth comes with a cost. Set against the backdrop of medical and technological advancement as well as corporate politics, Erasing the Past is a novel about love, betrayal, ambition, illusion, and second chances. This collection includes an eclectic mix of articles from 23 alternative weeklies. Dreiling’s feature article, “When Girls Go Wild,” is one of the stories highlighted in Notes from the Underground: The Most Outrageous Stories from the Alternative Press. Originally published by the Riverfront Times, “When Girls Go Wild” describes the daunting odds that St. Louis girls face in the city’s juvenile detention center as well as at home and in school. For more news about Dreiling’s forthcoming book in the Debbie Bradley series, Crime Beat Girl, follow her Amazon author page or her Goodreads author page.